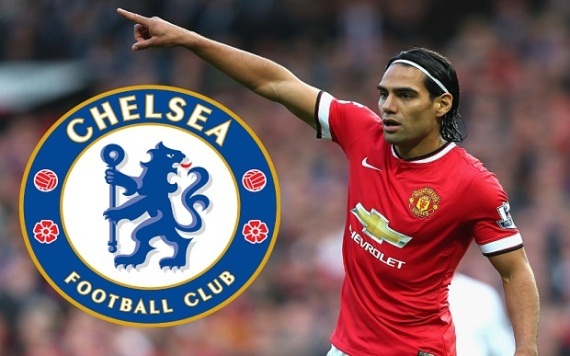 Chelsea have agreed a season-long loan deal with Monaco for Radamel Falcao. The Colombian spent last season on loan at Manchester United but boss Louis van Gaal opted against making the move permanent after he scored just four goals in 26 Premier League appearances. Falcao made his name in Europe with Mourinho's former club Porto, where he scored 41 goals in the Portuguese Primera and 21 in 21 appearances in Europe. He moved to Atletico Madrid for £35million in 2011 where he continued to be prolific, scoring 70 goals in 90 appearances in all competitions. Monaco signed him in 2013 for £52m but he suffered from injuries and played just 22 times over two season, scoring 13 goals in all competitions. Falcao, who has 25 goals in 52 appearances for Colombia, was under considerable scrutiny at Old Trafford last season during an expensive loan for United, and was criticised by Van Gaal for a lack of fitness. Nigerian defender David Faramola Oniya has died after he suffered a heart attack during a friendly match on Saturday between Malaysian club, T-Team, and Kelantan. The 30-year-old defender collapsed three minutes into the match in and was taken to hospital. The match, played in Kota Bharu, was abandoned after 60 minutes after a message was received from the hospital that Oniya had died. The club’s chief executive, Syahrizan Mohd Zain, alleges that Oniya did not receive medical treatment quickly enough. “He suffered a heart attack but it could have been a different story,” he said. “Our defender was deprived of oxygen for several minutes.” Oniya only recently joined T-Team, having spent over a decade playing in Azerbaijan, and – since 2007 – in Uzbekistan. May his soul rest in peace. Colombia coach Jose Pekerman insists his team will stick to their playing philosophy against Brazil despite losing their Copa America opener to Venezuela on Sunday. Colombia were humbled by Salomon Rondon's second-half header in a disappointing display for the 2014 World Cup quarter-finalists. Pekerman's charges on Wednesday take on the Selecao, who started their campaign with a 2-1 victory over Peru. "We will not change our system of play, all rivals are important," Pekerman said. Pekerman conceded his outfit were below their best on the weekend. "We regret the defeat, but congratulate Venezuela for being a great opponent. This is a typical opening match in the Copa America, where it always takes a little time to find the rhythm. Unfortunately in this game the result has not helped. We could not link the game and complete the passes that we usually do. We had difficulties." Manchester City are growing increasingly confident of landing Raheem Sterling for less than Liverpool’s £50million valuation. Liverpool’s hopes of sparking a bidding war for the forward in an attempt to maximise the transfer fee they’ll receive looks unlikely to materialise. Arsenal and Chelsea are both interested, but have other priorities in the transfer market, while Real Madrid and Bayern Munich are unlikely to pay beyond the £30m Man City, who will make an improved bid this week, have already offered. 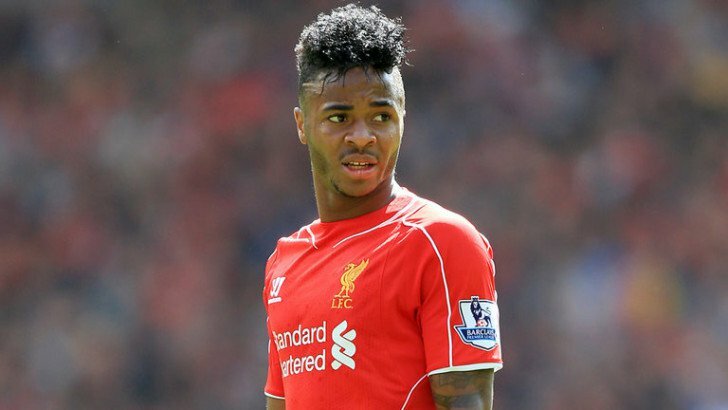 Sterling has just two years left on his current deal and Liverpool know his value will begin to fall rapidly over the next 12 months as a result, a factor Etihad chiefs are also more than aware of. Uruguay striker Edinson Cavani has apologised for saying Jamaica are a difficult side to face "like all African teams". Cavani made the remark ahead of their Copa America meeting between his country and the Caribbean nation. The Paris Saint-Germain man expressed remorse soon after on Twitter, saying: "First I want to apologise to Jamaica and its people. I wanted to make a comparison between similar styles and playing characteristics between Jamaican national team and those of African sides, but honestly I only put across half that thought and it came out sounding awful. In any case, I would like to publicly ask for forgiveness, and I hope my mistake will be taken with humour rather than offence." Liverpool could have moved one step closer to signing Inter Milan midfielder Mateo Kovacic, with reports in Italy claiming a fee is now agreed for the player. Tuttosport claim the Reds are said to be ready to part with almost £16m to sign the player, with an extra £2m to be paid in add-ons. They lead with the headline: “Inter’s Kovacic goes to Liverpool. It bursts the wrath of fans”. The 21-year-old has been linked with a move to Anfield throughout the summer, with Brendan Rodgers reportedly earmarking him as a replacement for Steven Gerrard, who has left Liverpool after 17 remarkable years. 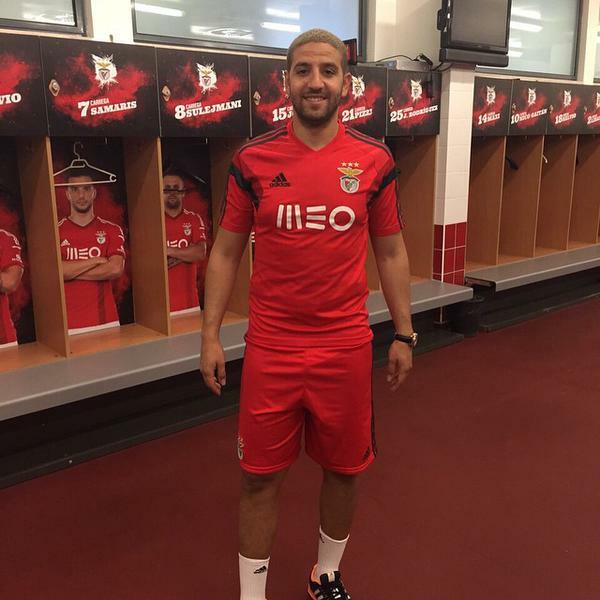 Moroccan midfielder Adel Taarabt has signed a five-year deal with Benfica after terminating his contract with QPR by mutual consent. The 26-year-old hardly featured for the Rs last season as they were relegated from the Premier League to the Championship. 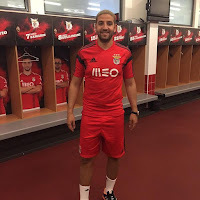 Taarabt spent five years with QPR, which included loan spells at Fulham and AC Milan. Paris Saint-Germain midfielder Yohan Cabaye says he would welcome a return to England as "it's clear" he has to leave the Ligue 1 champions. Cabaye, a reported target of Crystal Palace, moved to Parc des Princes from Newcastle in January 2014. And although he has won two league titles, two Coupe de la Ligue medals and the Coupe de France with the capital club, he is frustrated with his lack of game-time. When asked if he expects to stay at PSG, Cabaye replied: "Not really. I know that if I stay I could do everything, but nothing would change. I had a talk with Laurent Blanc after the win over Lille. For him, the player in my place is better than me - there you go! It's his opinion, not a problem. It's clear [I will have to leave before Euro 2016]. I know this. At the club, they know it too. It will be important to make the best choice possible. I was criticised when I went to Newcastle. Supposedly I didn't want to play the Champions League with Lille but I played in Euro 2012 and the 2014 World Cup. I'm not worried. Sometimes it's better to go backward in order to go forward. I enjoyed myself in England, in a league that works for me. "Today, I am at PSG. Certainly, I'd like it to have happened differently, the club too, but that's reality. If I had the chance to return to England, I hope to get it done ... but there could be other destinations." Former Orlando Pirates coach Ruud Krol has signed a two-year deal to coach Moroccan giants Raja Casablanca. Krol admitted recently that he had applied for the vacant head coach position at Kaizer Chiefs, but hadn’t received a response from the club. Amakhosi are seeking to replace Stuart Baxter, who recently switched alliances to Turkish outfit Genclerbirligi. West Ham have signed Spanish midfielder Pedro Obiang from Sampdoria. The 23-year-old, who made 36 outings in all competitions last season, has penned a four-year deal with the Premier League outfit. Obiang's signing is the first under new Hammers manager Slaven Bilic. Bilic was unveiled as Sam Allardyce's successor at Upton Park last Tuesday. Newcastle have appointed Steve McClaren as their new manager six months after initially offering him the job. The former England coach, who has penned a three-year contract, has been installed as Alan Pardew's permanent replacement at St James' Park. The Magpies parted ways with caretaker bosses John Carver and Steve Stone last Tuesday. Newcastle identified McClaren as their prime target within weeks of Pardew's departure in January. However, the 54-year-old opted to stay at Derby and see through their ultimately unsuccessful bid for promotion to the Premier League. Cristiano Ronaldo, Lionel Messi, Zlatan Ibrahimovic and Gareth Bale are among the top 20 highest paid sportsmen in the world, according to figures released by Forbes. Boxer Floyd 'Money' Mayweather set the pace for the second year in a row, raking in $300m. 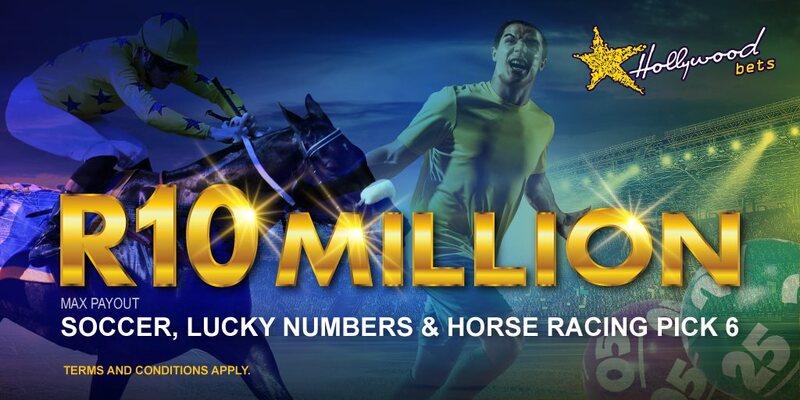 Most of the money came from his victorious superbout with second-placed Manny Pacquiao ($160m) on May 3. Real Madrid star Ronaldo is the best paid footballer with earnings of $79.6m, just ahead of Barcelona's Messi $73.8m. Paris Saint-Germain talisman Ibrahimovic is 14th on the list with $39.1m. Real's Bale - a $131m world-record signing from Tottenham - is 18th with $35m. Juventus striker Carlos Tevez is likely to leave the Serie A and Italian Cup champions, according to the club's general director Giuseppe Marotta. Tevez, Juve's top scorer with 20 league goals this season, has been linked with former team Boca Juniors and Atletico Madrid. Marotta told Sport said: "The possibility that he [Tevez] leaves is quite high but I'm not going to give a percentage. It's more likely that he will leave than [Juventus veteran midfielder Andrea] Pirlo. Tevez is a professional and we owe him a lot. But we cannot prolong Tevez's situation for much longer. We must reach a conclusion as soon as possible." Tevez has a year left on his contract, having arrived in Turin in 2013 in a £10million transfer from Manchester City. 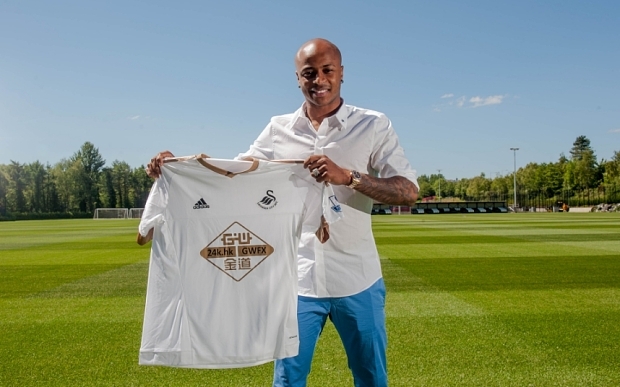 Ghanaian attacker Andre Ayew has joined Swansea City on a four-year deal. Ayew was out of contract at Marseille, who he scored 52 goals in 181 games for since his debut in 2007. "I looked left and right and I thought Swansea was the best choice for me to grow as player," Ayew told Sky Sports. "Not only football-wise but I heard about the squad, how the players live together and the team spirit. So I thought it was great to come to Swansea because I know how positive it is here. I'm going to do everything to be ready to adapt but I'm lucky because I've played against a lot of English players in the Champions League. "I'll have a pre-season to get ready before the season starts, so I'll have time to adapt." The 25-year-old says he spoke with a number of his compatriots that have featured in the Premier League. "I've spoken a lot to players from Ghana who have played in the Premier League," Ayew said. "They heard I was going to come but they didn't know where. It's a league I really like and they knew I was going to come to England, but I took my time to make a decision. When I spoke to them all, the Ghanaians love the Premiership and Asamoah Gyan, Michael Essien and Sulley Muntari all said the same thing. I think it's the best league and I wanted to come and play against the best players." Ayew, the BBC African Footballer of the Year in 2011, has 62 caps for his country. Brazilian fullback Dani Alves has revealed Lionel Messi urged him to stay at Barcelona. Alves looked likely to leave Barca on a free transfer this summer but last week agreed to a new two-year contract with the treble winners. "Messi said to me: 'Dani, stay, where are you going to feel better than you do here?'" Alves told reporters. "Long ago we talked about how well we were living at this club. We have wonderful things in this city, gorgeous weather, and all of this influenced our decisions. Messi and I had the same conversation a year ago when it was said someone wanted to sign the two of us and we discussed that we would never have it so good anywhere else. As I said at the treble celebration [on Sunday], and as I said many times before, I'm just in the place where I feel loved. For a few moments I had doubts but the other day it was very clear that most people here love me and value me, and that was one of the things that made me decide to stay. I always follow my heart. My heart was asking me to stay here and I still have many things to offer. I have the best group of colleagues, I have never seen a group with such connection and that helped in making the decision. A number of positive factors have led me to make this decision." Fifa has suspended the 2026 World Cup bidding process amid the widening corruption scandal implicating previous bid contests. The US Department of Justice is continuing its investigation into worldwide Fifa corruption, while the Russia 2018 and Qatar 2022 World Cup bids are both being investigated by Swiss authorities due to rigging allegations. Fifa planned to write to its 209 member federations this week to explain the bidding timetable and rules for the 2026 World Cup. The 2026 host was expected to be chosen by the 209 members at their May 2017 meeting in Kuala Lumpur, Malaysia and potential bidders include the United States, Mexico, Canada, Colombia and countries from Europe. But Fifa secretary general Jerome Valcke has confirmed: "Due to the situation, I think it's nonsense to start any bidding process for the time being. It will be postponed." Meanwhile, Fifa is still pushing ahead with preparations for the 2018 tournament as Valcke attended a meeting of the organisers in Russia on Wednesday. Russia 2018 LOC chairman Vitaly Mutko said: "We as a host country continue to fulfil our obligations to prepare all the events and projects of 2018 Fifa World Cup in time, we are well on track and on schedule. There's no doubt all the events of the 2018 FIFA World Cup in Russia will go through at the top level." Wolfsburg midfielder Kevin De Bruyne has confirmed Manchester City have made contact with his agent, but says any interest in his services must be directed to his club. De Bruyne has attracted widescale attention by scoring 15 goals and providing 25 assists in all competitions this past season for the Bundesliga runners-up. German champions Bayern Munich and French counterparts Paris Saint-Germain are also reportedly eyeing the 23-year-old, who cost his team €24m from Chelsea in January 2014. "I know there are some informal contacts but we say to everybody - if they want to do something they have to go to Wolfsburg, not to me," De Bruyne told Sky Sports News. “I always thought that I was going to talk to my club first when the season was over. And for me the season is not over. That starts probably next week or the week after but I will also be on vacation. I don’t have any stress about these things. It will come this way and I know that there are a lot of rumours and the papers are writing a lot,” added the Belgium international. 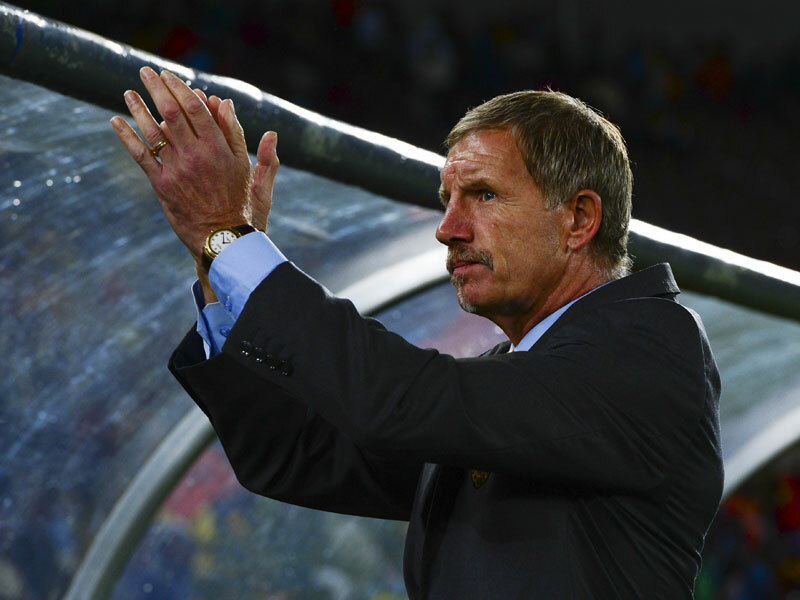 Turkish club Genclerbirligi have confirmed that an agreement has been reached with Stuart Baxter to become their new coach next season. 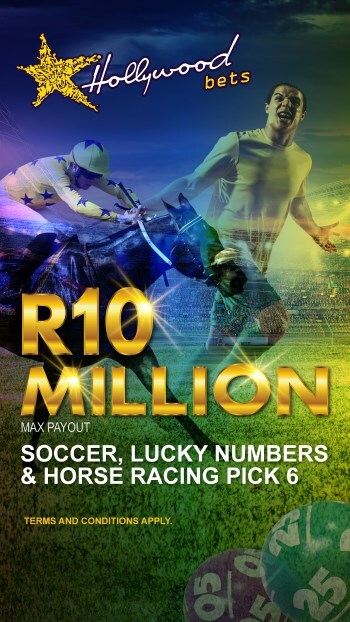 Baxter's agent Steve Kapeluschnik said last Tuesday that a deal was imminent, and the move was later confirmed by the club. Genclerbirligi has previous South African football connections, having been a home to the late John 'Shoes' Moshoeu between 1993-1995. One of the men on Interpol's wanted list in connection with the worldwide Fifa corruption scandal has turned himself in. Alejandro Burzaco, who was demised as the president of Argentine sports marketing company Torneos y Competencias on June 3, handed himself over to Italian authorities on Tuesday. He is one of 14 current and ex-Fifa officials and associates indicted in the US Department of Justice investigation into "rampant, systemic and deep-rooted corruption" in world football. Burzaco is alleged to have conspired to win and keep hold of lucrative media rights contracts from regional football federations by paying up to $110-million in bribes. Interpol have issued 'red notices' for the arrest of five other men for racketeering, conspiracy and corruption – fellow sports marketers Hugo Jinkis, Mariano Jinkis and Jose Margulies, as well as former Fifa executive members Jack Warner and Nicolas Leoz. West Ham have announced former player Slaven Bilic as their new head coach, replacing Sam Allardyce at Upton Park. The 46-year-old, who played 54 matches for the Hammers, becomes the 15th full-time manager in the club’s 120-year history. The former Croatian international, who has since coached Turkish side Besiktas and the Croatian national team, is confident of achieving “great things” with the English club. West Ham finished 12th in the EPL standings in the 2014/15 season, 40 points behind champions Chelsea.